Could this common weed help fight deadly superbugs? 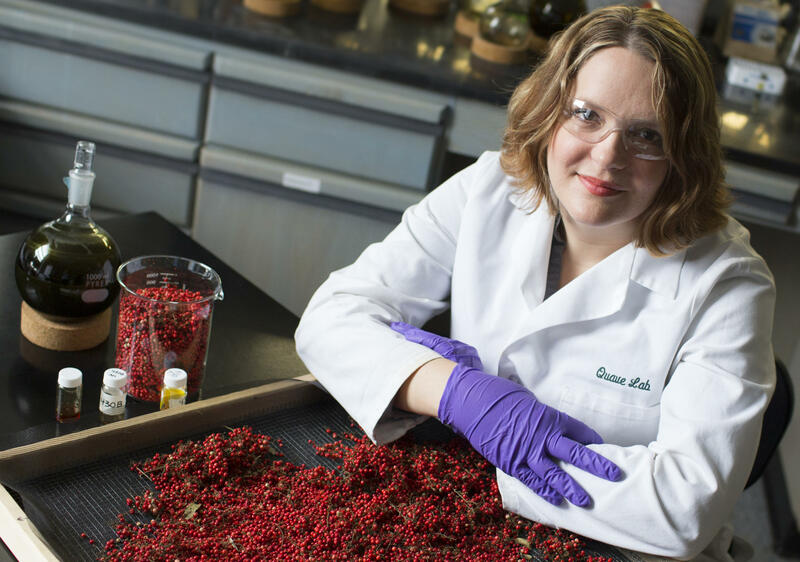 The red berries of the Brazilian peppertree — a weed commonly found in Florida — contains an extract that could disarm a deadly superbug, according to new research. The scientists at Emory University who conducted the laboratory study say the findings may hold potential for new ways to treat and prevent antibiotic-resistant infections, a growing problem worldwide. For hundreds of years, traditional healers in the Amazon have used the Brazilian peppertree to treat infections of the skin and soft tissues. Quave’s research focuses on how indigenous people use plants in healing practices. For the study, she and her team pulled apart the chemical ingredients of the berries to see if they could prevent methicillin-resistant Staphylococcus aureus (MRSA) infections in mice. The MRSA bacteria, one of the most worrisome drug-resistant superbugs, causes thousands of infections each year and poses a particular risk to hospital patients. The researchers injected all the rodents with the bacteria but some received the peppertree-derived plant extracts and some did not. Those that did not receive the plant compound developed skin lesions, while the plant extract inhibited the growth of lesions in those that were given it. The compound works, the researchers explain, not by killing the bacteria but by repressing a gene that allows the bacteria cells to communicate with one another. The discovery may one day lead to a new approach to treating antibiotic-resistant infections in humans, the researchers say. According to the Centers for Disease Control and Prevention, antibiotic-resistant infections cause at least 2 million illnesses and 23,000 deaths in the United States each year. Last year, the United Nations called antibiotic-resistance a “fundamental threat,” citing estimates that they cause at least 700,000 deaths each year worldwide. If the problem continues to spiral out of control, it could kill 10 million people annually by 2050, the U.N. warned. “We’re really at an urgent time for discovery of new chemical matter and new mechanisms for dealing with infectious diseases because we are standing on the precipice of a post-antibiotic era,” Quave said. She hopes the findings can be leveraged to one day create a new drug therapy to treat humans, though more research is needed before that could happen. “We hope to go all the way from the field to pharmacy,” she said. In their testing, the researchers found that the plant extract did not harm the skin tissues of mice, or the normal, healthy bacteria found on skin. Quave said one of the most interesting things about the findings is that it takes advantage of a ubiquitous resource: the Brazilian peppertree. The plant, native to South America, is an invasive species commonly found throughout the southern part of the United States, particularly in Florida. The researchers plan on doing additional studies to confirm the safest and most effective ways of using the plant extract. The next step would be to set up pre-clinical trials to test its medicinal benefits. While research into plant-based therapy has waned in recent years, Quave said she has hope that this potential treatment has a shot.